“J.B. Priestley – I’ve heard of him, but never read any of his books. Where should I start?” I’m regularly asked this, so I thought I’d share my usual answers – which I imagine most Priestley enthusiasts would endorse. With the exception of Margin Released, all these books are currently in print, published by Great Northern Books. They are also plentiful in the second-hand book trade and often to be found in academic and large public libraries. I’ve included links to my 100 Objects pieces about each title, which should help you decide which ones you’d like to discover. English Journey. England in the 1930s – rural past, industrial decline and modern future, featuring Priestley’s unforgettable anger at the treatment of Great War veterans and the desolation of poverty. Delight. Vignettes of experiences that made Priestley happy, from smoking in the bath to playing tennis badly. Margin Released. Interested in Bradford history, the Great War or 20th century literature or film? You need to read this memoir. Bright Day. A bittersweet and reflective book looking back from the uneasy peace of 1946 to vanished 1913 Bradford. Angel Pavement. Priestley shows the impact of capitalism on ordinary people in the memorable setting of a vanished London. Lost Empires. Love and disillusionment in a vivid music-hall setting, under the shadow of The Great War. The Good Companions. Too sentimental for some modern tastes, but on its own terms it is incredibly effective. Fantastic set-pieces (the football match at the beginning) and a lovely comfort read. I hope this helps – do let us know which Priestley books you’re reading and what you think of them! What about the plays? That’s another story. Read all these already? I’ll follow up with some suggestions for the more advanced Priestley reader. One of the most popular of J.B. Priestley’s essays shared the joy he found in seeing the First Snow. He loved how snow transformed the landscape. The essay uses the language of fairytales, the house becoming a woodcutter’s cottage, local people elvish beings. It also makes me think of the appeal of Narnia, pushing through the fur coats to find an enchanted winter world. Priestley found himself envying people who lived in places like Canada and have months of snow. But then he reflected that such snow, arriving on a predictable date, settling in for months, would become tiresome. Priestley preferred the fickleness of English weather, which can offer moments of wonder and surprise. Want to read First Snow? After its original publication in The Saturday Review in 1927, the essay appeared in several Priestley collections: Apes and Angels (1928), All about Ourselves (1956), and Essays of Five Decades (1969). It’s not currently in print as far as we are aware, but you can read it in one of these titles by visiting our Reading Room, trying other public or academic libraries or inter-library loan, or buying a second-hand copy. There are many to be found via online sellers. 1. 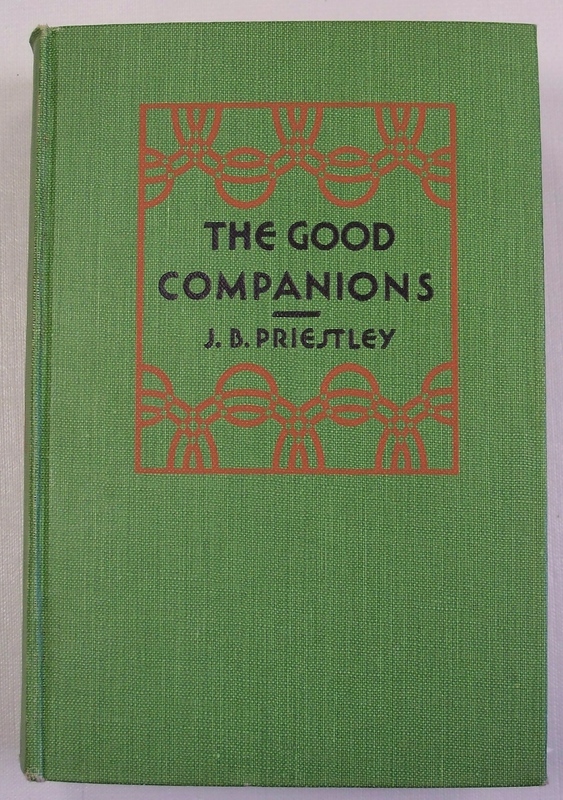 Another welcome Priestley edition from Great Northern Books: a 60th anniversary reissue of “Delight“, Priestley’s 1949 celebration of simple pleasures, including fountains, smoking in a hot bath, “Not Going”, and, the Special Collections staff favourite, “Quietly Malicious Chairmanship”. Some of Priestley’s best-known, funniest, and most enjoyable writings. 2. Priestley’s “Delight” inspired a new collection of “funny, intimate and inspiring essays from an eclectic selection of some of our best loved authors, entertainers and national treasures on what brings them delight”, including Michael Palin, Kate Mosse, Nick Hornby, Stephen Fry, Sebastian Faulks, Lynne Truss, Wendy Cope, Jo Brand, Jeremy Paxman,Vince Cable and Beryl Bainbridge. “Modern Delight” is published by Faber and proceeds go to two charities devoted to encouraging the delight of reading: Dyslexia Action and the London Library. Article about Delight in the Daily Mail, 10 September. Interview with Tom Priestley and Alexei Sayle, Radio 4 Today programme.